I wrote and animated two comic adventure games about a pirate called Nelly Cootalot who rescues endangered birds from the villainous Baron Widebeard. I’m not 100% sure why. For more visit www.nellycootalot.com or follow @NCootalot. 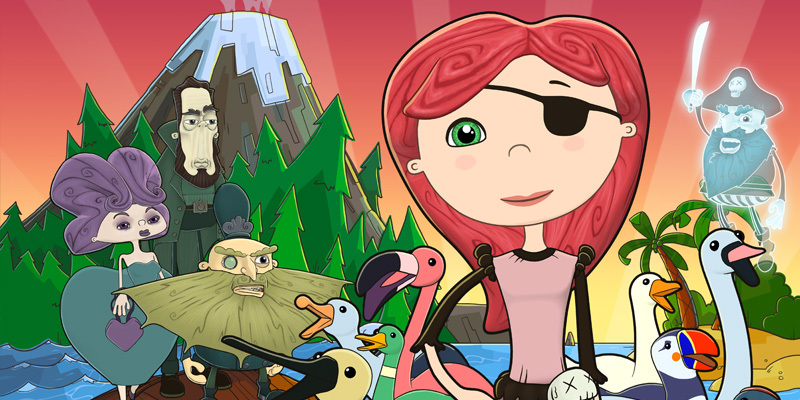 Nelly Cootalot: The Fowl Fleet is available from Steam and lots of other stores.